Sisko gets some intel that the last remnants of the Maquis — most of whom were wiped out when Cardassia joined the Dominion — plan to launch some missiles with cloaking devices (acquired from the Klingons) at Cardassian targets that would likely start a war. Sisko enlists the help of our old buddy Eddington (Kenneth Marshall) who’s been imprisoned since Sisko caught him a few months back. 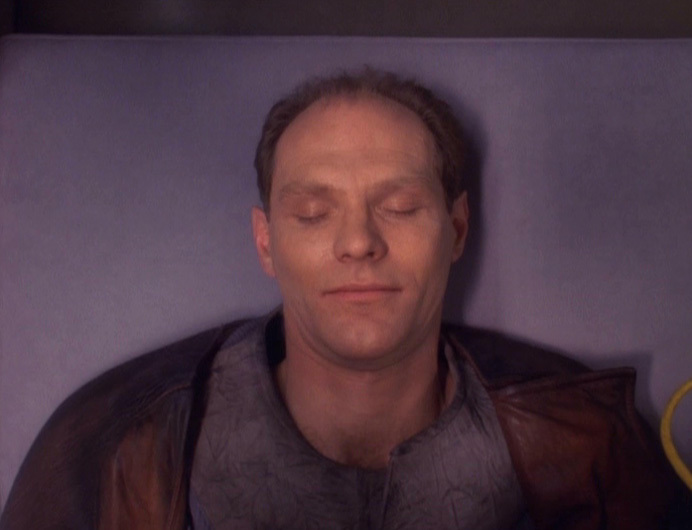 Eddington blames Sisko for what happened to the Maquis, but reluctantly takes him to a planet in the Badlands. Turns out the Jem’Hadar beat them there and have the last of the Maquis, including Eddington’s wife Rebecca (Gretchen German) imprisoned there ready to transport back to Cardassia. There never actually were any missiles, as it was a plan put into place by Eddington before he was arrested. Sisko gets the Maquis members out while Eddington stays behind and dies to save them. This episode was right on the bubble, but we reviewed it for two reasons. It essentially ended the Maquis, despite the Chakotay-led group on Voyager that’s unaware of the Dominion and all other goings-on in the Alpha Quadrant. And it also is very emblematic of the very strong run up to the end of the fifth season, in which the threat of a war with the Dominion is more real than ever before. The back and forth between Eddington and Sisko on the runabout — in which its explained that the instability brought on by the Maquis was partly why the Cardassians turned to the Dominion — put this episode over the edge and made it tapestry worthy. Hugh Jackman as Jean Valjean, I think he even kind of looks like me! Eddington’s plan is, shall we say, ridiculous. Apparently, before he was captured, Eddington told the Maquis that, at some point, they should send a message directed at his first name (Michael) that they plan to fire missiles at Cardassia. The idea being that doing so would prompt someone to get Eddington out of jail and take him to the alleged “missile site” where he could save the remaining Maquis. And it turned out to be enough for Sisko, who knew Eddington well, to take the bait. But what if Sisko had been otherwise occupied — or what if the Klingons hadn’t decided to share the message they intercepted and shared the knowledge that they provided the Maquis with cloaking devices? Remember that when Eddington was imprisoned, the Federation and the Klingons weren’t allies. 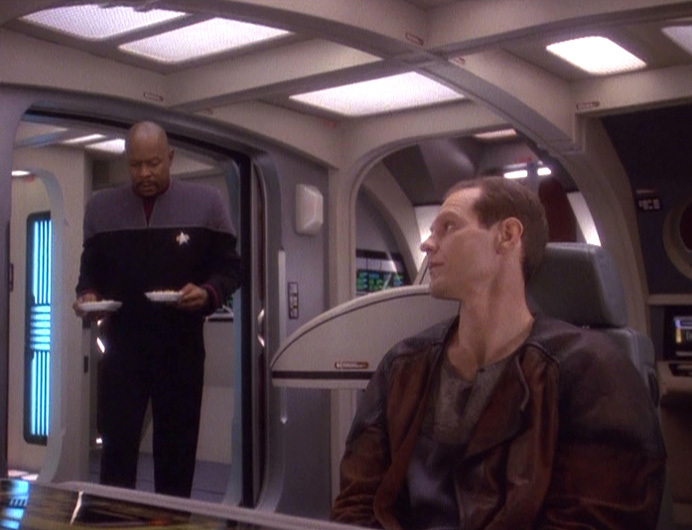 Or, hell, what if Sisko had decided he couldn’t trust Eddington enough to enlist his help? Logical goofiness aside, this episode is a favorite of mine. 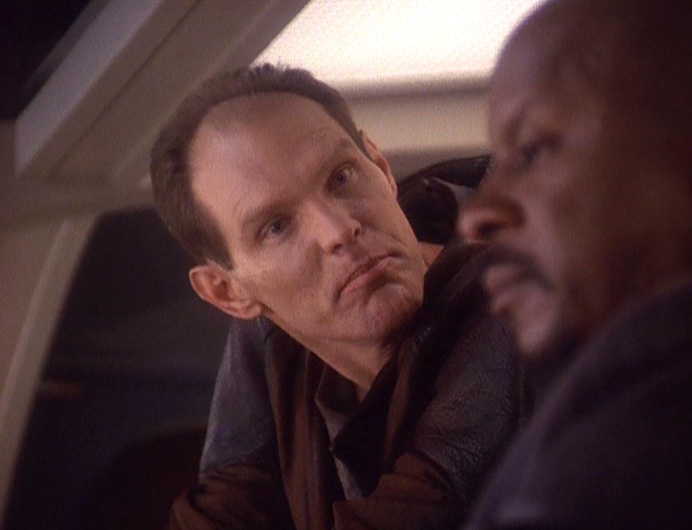 The banter between Eddington and Sisko is strong, better than the uneven showing in “For the Uniform”, the episode in which Eddington was captured. Part of that is the stronger showing here by Avery Brooks but also the angrier Eddington we see. Not that it’s a flaw, but it is too bad that we never see Rebecca or the handful of Maquis again or even learn what happened to them. My guess is they were imprisoned, but that’s not made clear. There’s a line in Voyager about the former Alpha Quadrant Maquis being in prison, FWIW. War! Huh! Good god, y’all. What is it good for? Absolutely nothing.